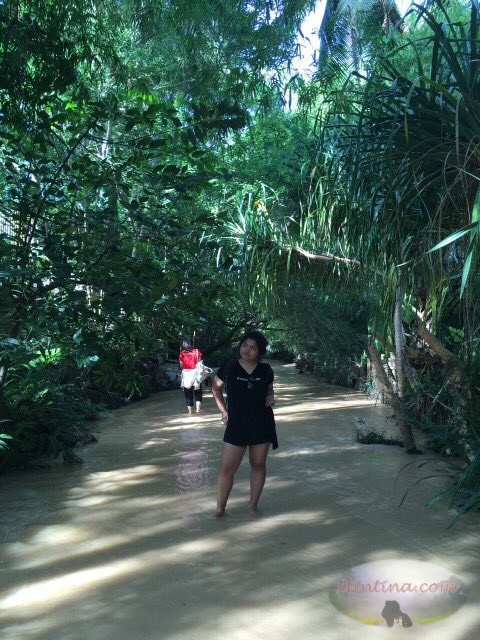 The walk along the Fairy Stream is the second part of a half-day tour of some of the tourist attractions in Mui Ne, Vietnam. White and Red Sand Dunes experience: here. The trek to the Fairy Stream is free and you don't really need a guide since you just have to follow the flow of the stream. Despite knowing what it looks like since we saw pictures while researching, none has prepared me for the beauty that is the whole walk along the fairy stream. 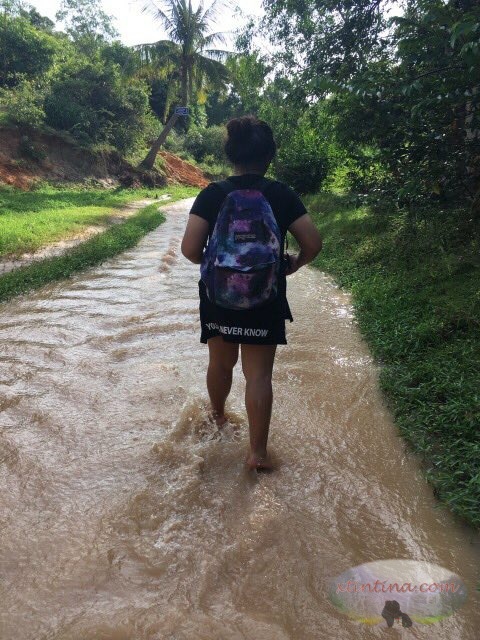 We walked barefood against the current of the stream. Ito 'yung isa sa mga lugar na masasabi mong "It's the journey not the destination." sa dulo kasi nito e merong falls pero 'yung surroundings talaga nung stream 'yung breathtaking. Most part of the walk is covered with trees so it's not that hot even if it was almost 12 noon that time. Keep in mind that the water is not dirty. It's cool and the reason of its color is the color of the sand that's in the area. However, if you'll ask me about snakes that might be around this place, hindi ko naisip kaagad pero definitely meron 'yan sa paligid. Mas nakakagulat kung walang ahas sa ganitong lugar, ang mahalaga lang wag mo silang ma-encounter. haha! This part of the stream has the best view. Although climbing the rock formation is kind of interesting, the sand is soft and crumbly so I don't think it's recommended. Writing about this now makes me want to go back to Vietnam and... eat. Hahahha! I also fell inlove with Vietnamese cuisine by the way. For me it's Death Valley, Zion National Park and Valley of Fire in one. Just follow the red clay and avoid rocks for a pleasant walk. The red clay is soft to walk at so that's in itself is very enjoyable already. Maybe I didn't find the falls remarkable when I was putting watermarks in my pictures so I don't have it here. I am not sure if the water level remains the same all through out the year. The walk back to the jump off point was easier since you're not anymore walking against the river current. At the end of the walk, there are vendors of snacks and refreshments in case you got hungry. The end of a half-day tour in Mui Ne. You can avail tours for sunrise or sunset, it's just that our bus ride to Vietnam is scheduled in the afternoon so we had to sacrifice sleep and avail the sunrise tour.